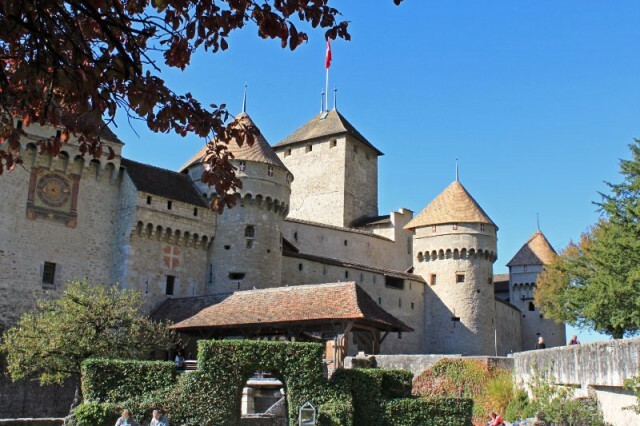 The Swiss Museum Pass is a wonderful deal to save on museums, galleries, castles, and other sites when sightseeing in Switzerland. Almost all museums in Switzerland are included. Bearers of the Swiss Museum Pass enjoy unlimited access to virtually all museums and art galleries in Switzerland. The museum pass (Schweizer Museumspass / Passeport Musées Suisses / Passaporto Musei Svizzeri) is valid for a year but a shorter version is also included free in some rail passes aimed at foreign visitors. The pass is excellent value for money and pay for itself very quickly. Family passes are particularly good deals when traveling with children under 16 years old. The Swiss Museum Pass is a fantastic deal that offer bearers huge savings on admission tickets to many of the top sights in Switzerland. Almost all museums in Switzerland accept the museum pass for unlimited visits. Simply show the Swiss Museum Pass at the normal ticket counters to receive a free admission ticket or often simply be waved through. The Swiss Museum Pass gives free admission to more than 500 museums, galleries, castles, and attractions in Switzerland. (Some, but not that many, of these museums are always free.) The database or pdf list can be consulted online. The enormous transportation museum in Lucerne (Verkehrshaus der Schweiz in Luzern) gives only 50% discount, which is still a saving of CHF14 for adults, while a charge is sometimes applied to major temporary exhibitions. If visiting some of the major museums – marked in red on the museum pass listings – a 10% savings on the rail fare to the applicable city is offered to museum pass holders. annual pass families is CHF 288 (2 adults incl. 5 children). The Swiss Museum Pass is excellent value for money. Many large museums in Switzerland charge CHF12 per visit making the pass pay for itself in as few as one museum visit per month. (Visit the Zentrum Paul Klee in Bern – CHF24 – to make up for any month missed!) Travelers with children save even faster as many Swiss museums charge admission for children over 6 years old. The museum pass makes it also easy to visit any museum and not feel obliges to spend the money’s worth if not that interesting or having to wonder whether it will be worth entering in the first place. Around a million museum visits are paid for by the museum pass – many of these visits are estimated to have been short visits that would never have occurred if the visitors had to pay full price. The annual Swiss Museum Pass is available from larger museums, any railway station with ticket window, most post offices in Switzerland, online, and from many tourist information offices. It is personal and identification may be asked. Travelers renting a holiday home through Reka receive a Swiss Museum Pass valid for the duration of the rental contract. The Swiss Railways also include the Swiss Museum Pass in the Swiss Travel Pass, Swiss Youth Pass and Swiss Flexi Pass international railway passes for Switzerland. * Generally free admission for all.